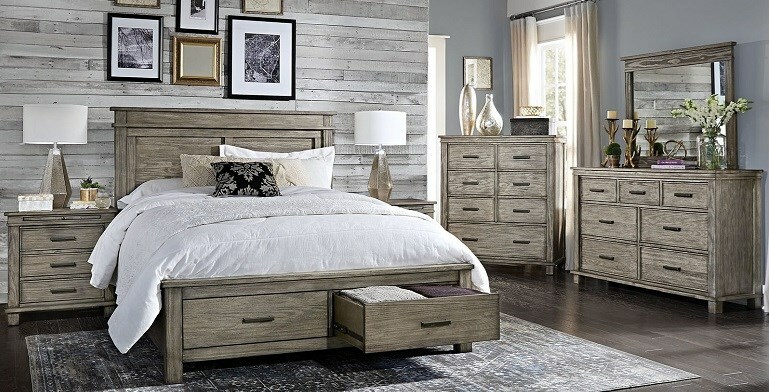 Wayside Furniture has a great selection of beds, dressers, nightstands, armoires, chests, and kids bedroom furniture. With a range of styles and quality you'll be able to find the perfect bedroom furniture for your situation. Visit Wayside Furniture for the best bedroom furniture shopping in the Akron, Cleveland, Canton, Medina, Ohio area. Shop Wayside Furniture's Bedroom Furniture. Browse a variety of products to find a look that fits your home and lifestyle. Serving areas such as: Akron, Cleveland, Canton, Medina, Youngstown, Cuyahoga Falls, Fairlawn, Barberton, North Canton, Hudson, Strongsville, Elyria, Mentor, Euclid, Parma, Lakewood, Medina Ohio , and More!